As dementia progresses it becomes more and more difficult to engage in a meaningful way. 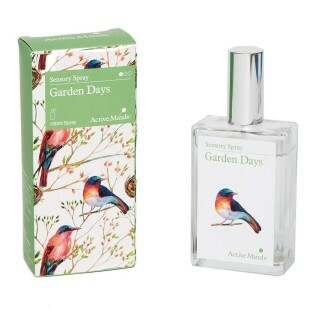 The Sensory Spray is a great activity for those relaxing in their room and especially for those near end of life. The scents are designed to be soothing and relaxing, to give people the feeling of reassurance, captivating them in a natural environment. This Sensory Spray has been designed with and for people with dementia and is a sensory activity for people in all stages of dementia. Spray the room for a unique experience to calm and reassure. 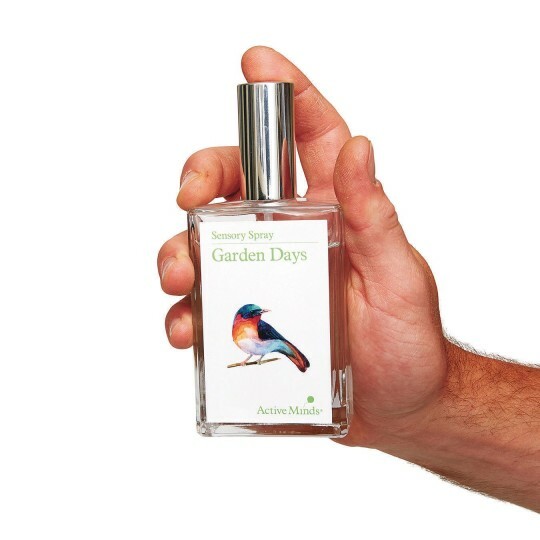 The Sensory Spray is great for those who are relaxing in their room, at end of life care or in communal spaces. Each bottle can provide up to 250 sensory activities. For the best experience, play the corresponding Sensory Sounds CD (Item #19574) alongside to create a multi-sensory activity. 3.38 oz. spray bottle.